Testpattern is an experienced, stylish, upbeat & versatile 2 piece group. A high quality act, their performances are always professional and memorable. Using the highest quality backing tracks, Testpattern have an extensive repertoire, that covers many styles of music, including fun retro, rock & roll, easy listening and funky modern dance songs. The duo has successfully performed at respected venues such as The Shangri-la Hotels in Beijing and Thailand, Thomson Gold Hotels in Spain and on the Gold Coast at Twin Towns Services Club for the past 10 years. 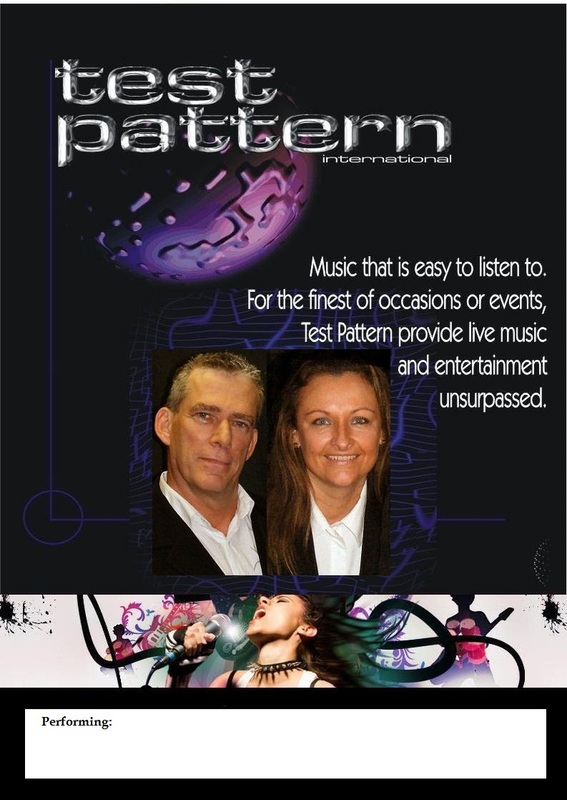 Testpattern are: Megan Gould /Female lead vocals and Mike Shaw / Guitarist – Backing vocals. Testpattern can provide ambient lighting. We use a Yamaha System MSR 400 either side and a 250 on the floor.